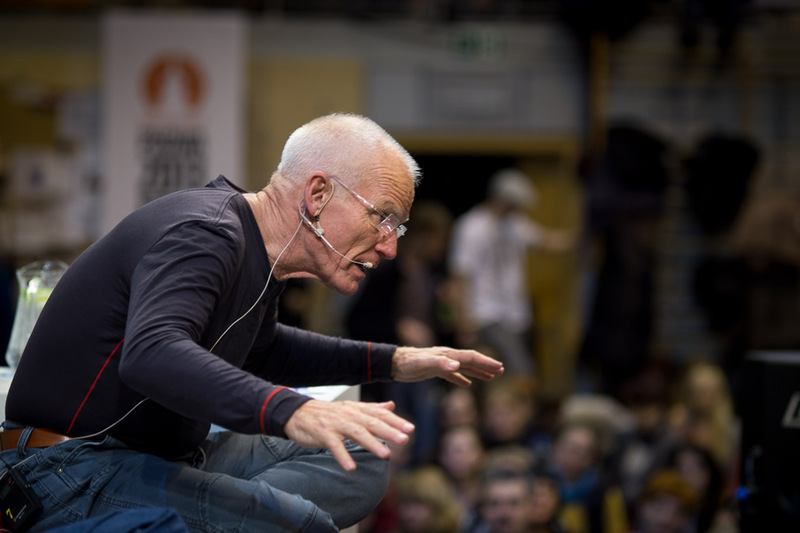 Lama Ole Nydahl has given lectures on Buddhism in Poland twice every year since his first visit in 1976. 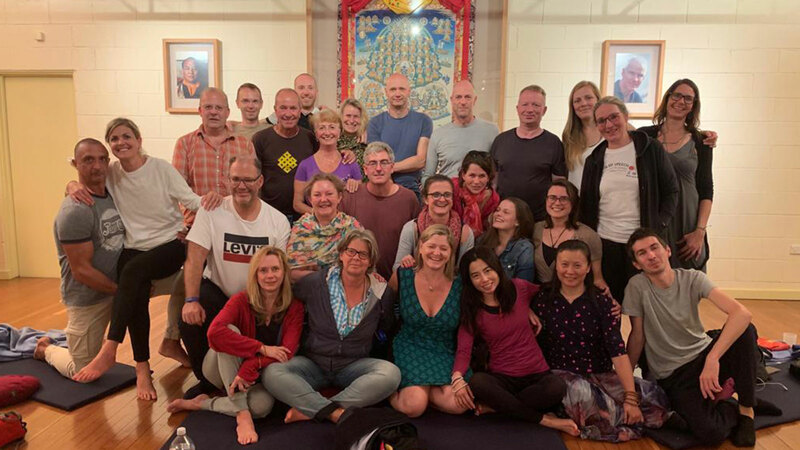 Though everything started in Krakow, a beautiful town in south Poland, with a comparatively small group of people who started the first center for Diamond Way Buddhism in Poland, the Polish sangha (group of Buddhist practitioners) grew very quickly, and now we have Buddhist centers in almost every city in Poland. 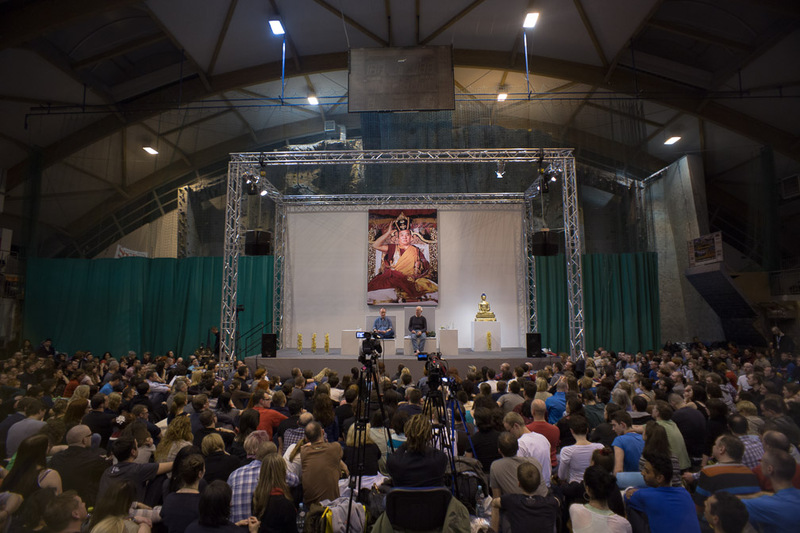 The biggest Buddhist center, in Warsaw, is a meeting point for all Polish and central European Buddhists. Situated near the city center in a green district, it is a significant place on the cultural map, vivid and meaningful. 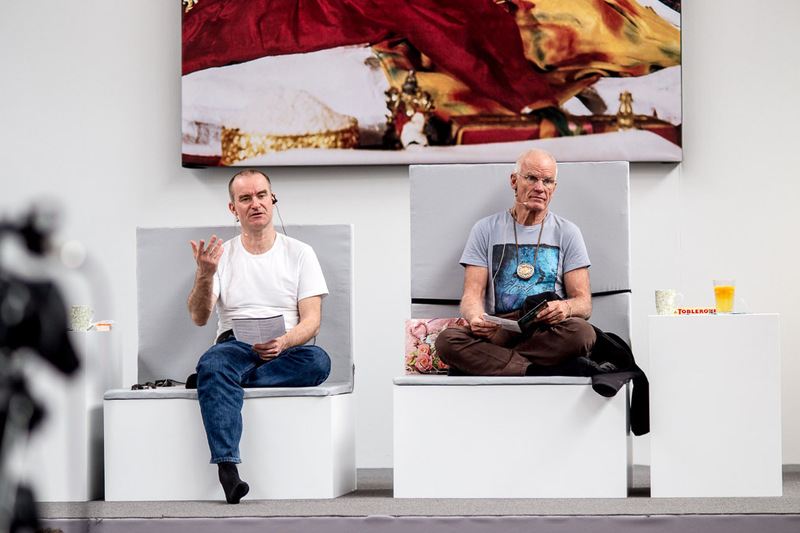 Organizing lectures, regular meditation sessions and exhibitions, it makes Buddhism accessible to the public in Polish, as something understandable rather than exotic. 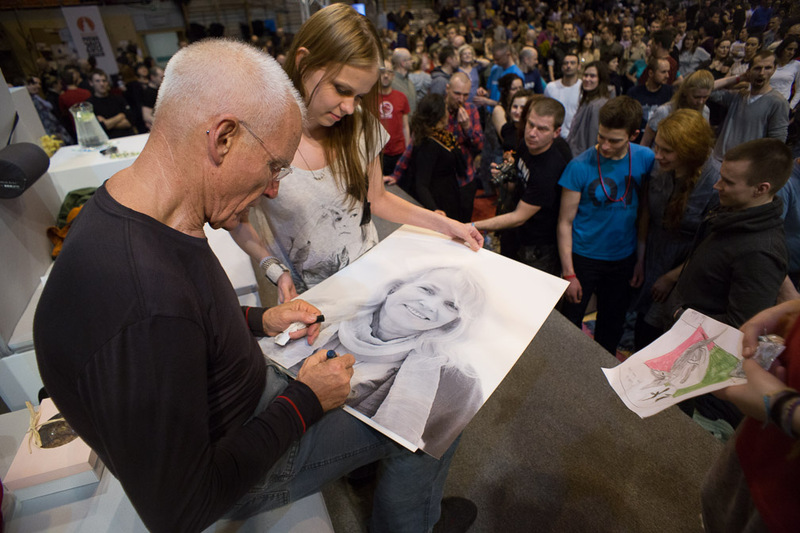 Lama Ole Nydahl visits Warsaw once a year, and he usually gives a couple of public lectures. 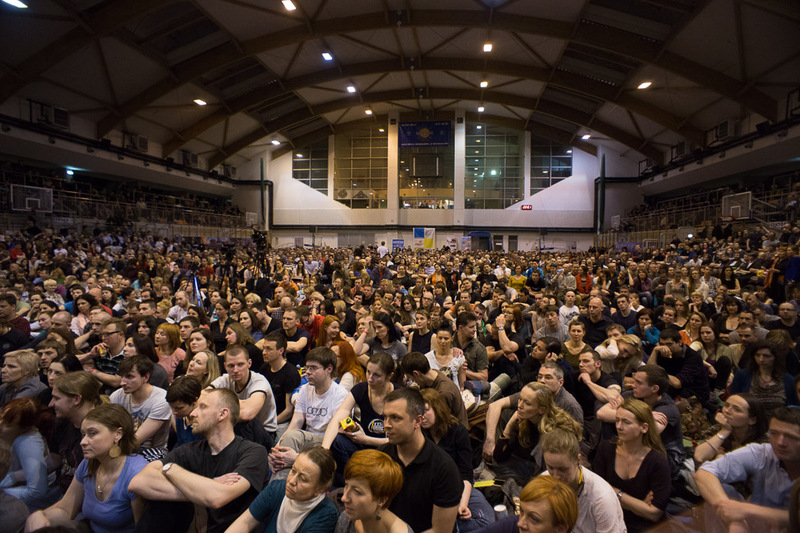 The appetite for Buddhism in Poland seems to only grow with each passing year. This years’ course started with a lecture by Tomek Lehnert on “The Teacher-Student Relationship in Buddhism”, which really moved the audience. 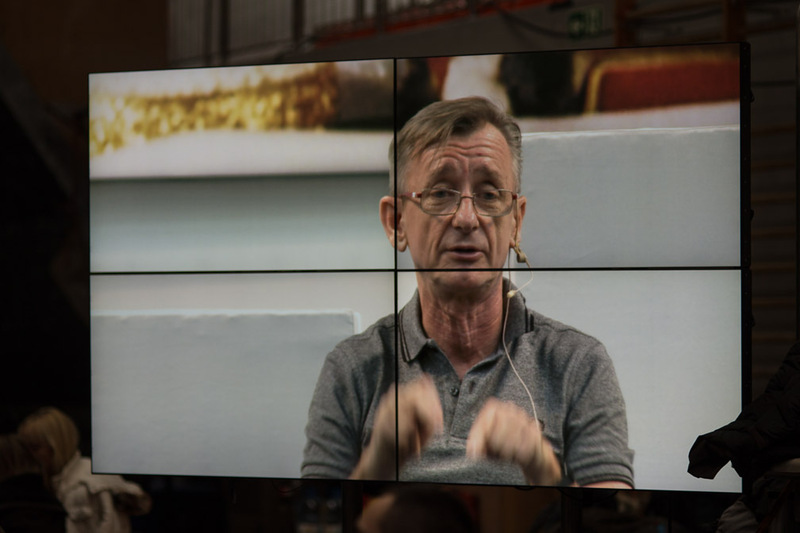 Tomek Lehnert has been Lama Ole’s student since 1983 and his assistant and translator in Poland for many years. 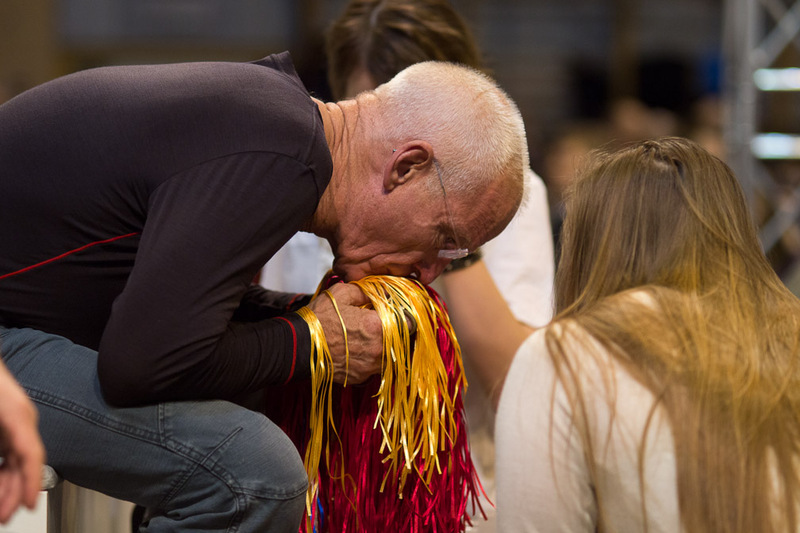 He has been also traveling with Lama Ole and his late wife Hannah around the world. 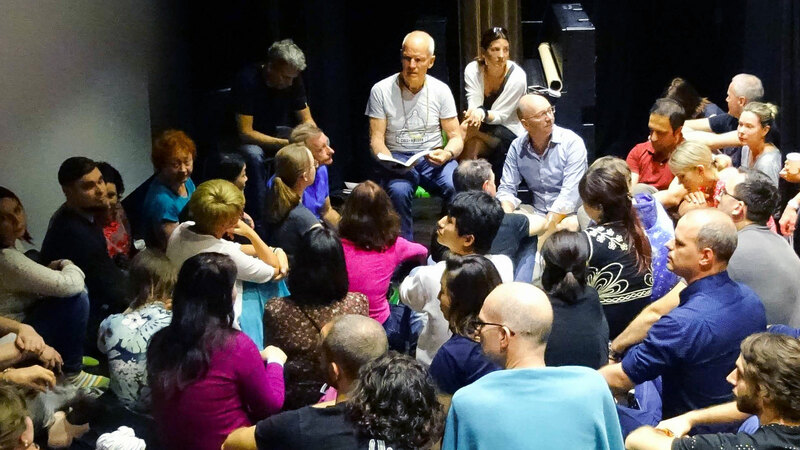 As always, Tomek spoke with ease about his own experience with Lama Ole. The stories were fascinating, with a lot of twists but always a happy ending. 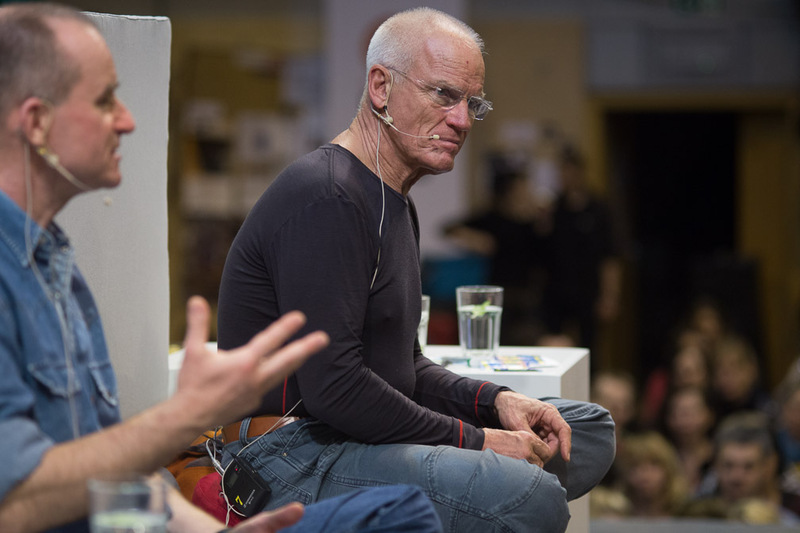 When Lama Ole Nydahl came for the evening lecture and saw the sea of people he wasn’t at all surprised. “Always at least 2000 people. Poland is famous for that.” he said. 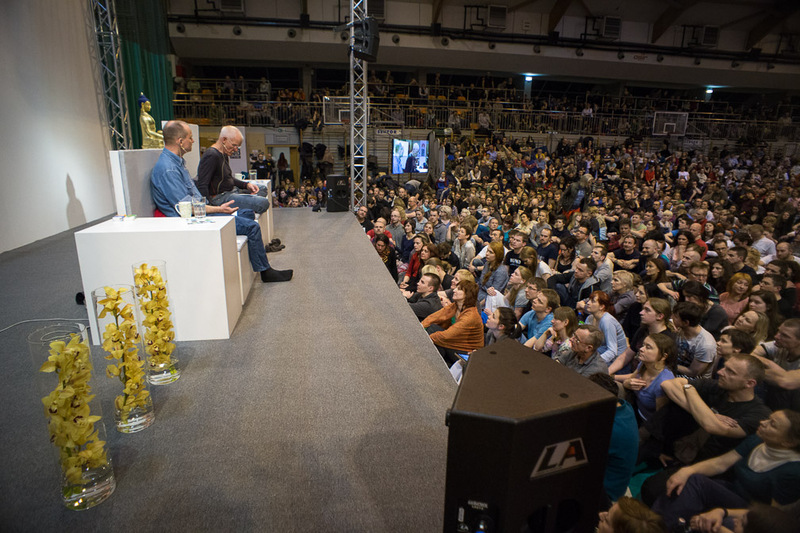 He was absolutely right: 2,800 people were ready to listen to the lecture. When he saw that so many of them were his old students he added “I start today with an inner understanding of Buddha’s teachings, which I think is very useful”. “Space is Joy“ was the subject of the course. 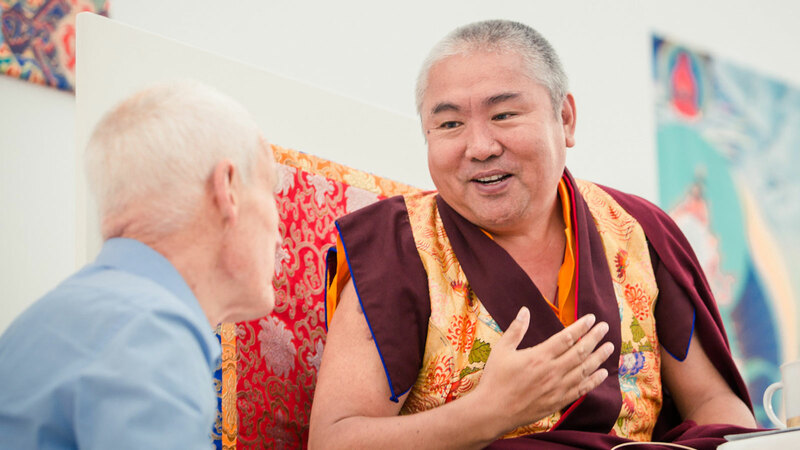 According to the highest level of Buddhist teachings, one’s mind in its true nature is limitless like space, and every experience with this realization is joy. 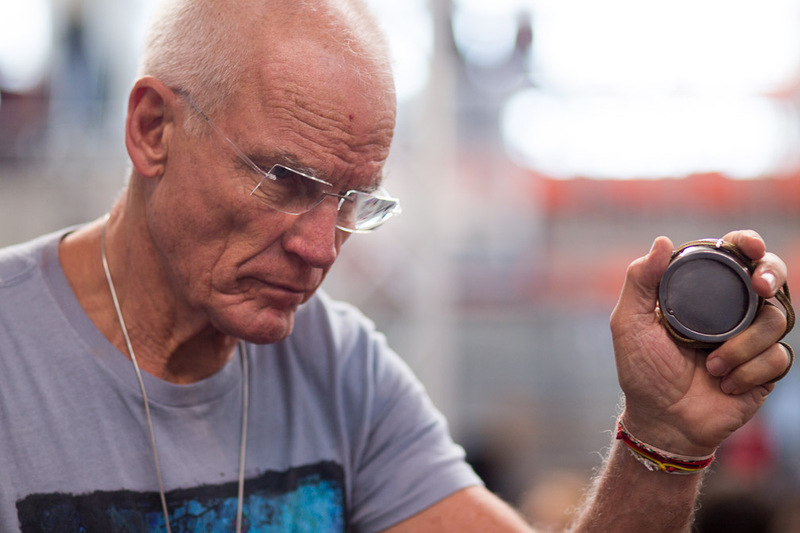 Lama Ole Nydahl explained core teachings of Diamond Way Buddhism and gave explanations to Tilopa’s text known as the Ganges Mahamudra.